More efficient through ingenuity: In 2018, Audi employees submitted more than 25,000 ideas, and the company implemented approximately 13,500 suggestions for improvement. Last year, the brand with the Four Rings saved €109.1 million at the Ingolstadt and Neckarsulm sites. Some of this was returned to the employees in the form of bonuses: a total of €8.1 million. Audi relies on lean processes to manage its ideas. Experts from the specialist departments examine the employees’ suggestions decentrally and decide directly on their implementation. An online tool informs the Audi employees about the progress made in this process, thus ensuring maximum transparency. An internal Ideas Agency advises the employees. “Every employee can contribute his or her ideas to the Audi ideas program. In this way, they not only help make Audi fit for the future but also contribute to a more efficient, sustainable and better company,” says Marcus Schulte, Head of the Audi Ideas Agency. Klaus Mittermaier, Chairman of the General Works Council of AUDI AG: “Our colleagues must also benefit personally from their suggestions for improvement. This is very important to us members of the Works Council because the ideas of our employees are important for sustainable Audi success. That’s why the company must reward this outstanding commitment accordingly.” This is achieved by giving employees bonuses for ideas implemented: more than €8 million in 2018 alone. Three ideas exemplify the range and in some cases great potential for the suggestions for improvement. Two employees from Neckarsulm whose job is to paint cars with special paint have enabled the use of paint to be reduced significantly by means of a more efficient ordering system. With around 1,100 cars painted in special colours each year, Audi is thus saving the proud amount of €280,000 as a result. Another example from production in Neckarsulm is that in the past, extra barcode labels had to be stuck onto plastic components because the previous barcode-reading technology could only read black-and-white images. The idea of an employee from the planning department was to use a special camera that can read the data-matrix code already marked in the injection mould. This eliminates the need for additional stickers in the future. Savings for Audi: about €21,000 each year. And the automobile manufacturer saves approximately €40,000 annually thanks to the idea of three employees in the body shop in Ingolstadt. They suggested attaching an air jet to the laser soldering head of a robot that connects two outer parts of the Audi Q2 tailgate with a soldered seam. This nozzle reduces the amount of residue produced during soldering. In the future, Audi employees will no longer have to clean the tailgate parts by hand. This stage of work is no longer necessary; in addition, the company no longer needs any cleaning cloths for that purpose. Audi has had a suggestion scheme for 50 years now, and the ideas program has existed in its current form since 1994. The Audi Group has also established idea programs at its other European plants. 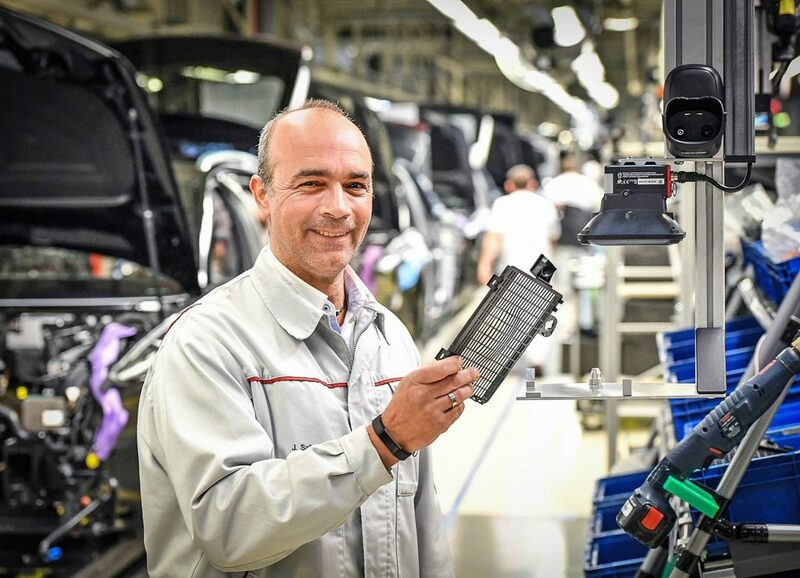 Employees at the Audi facilities in Győr and Brussels submitted a total of 11,890 suggestions for improvement in 2018, saving the company more than €34 million.